Every now and then, the stars align just right to give us something unique and special. 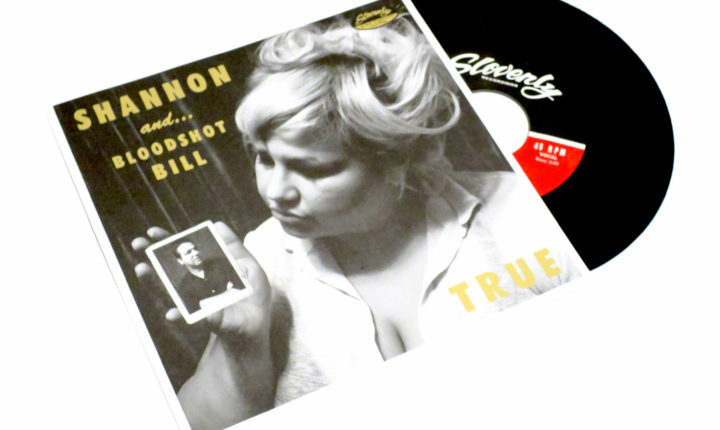 That’s exactly the thought that goes through my head when I think of the Bloodshot Bill and Shannon Shaw split 7” Honey Time. For those not in the know, this 7 inch is a fitting and peculiar union of songwriters. Bloodshot Bill is a honky-tonk madman and, as Jon Spencer said, the hardest working man in music. Shannon Shaw “fronts” Shannon & The Clams, a surf-rock quartet with a focus on heart over brute force. Here, the two have joined their sensibilities to give us a unique merger. And from the cover(s), it appears the two long for each other. The results are as sweet as honey. Shaw’s vocals perfectly compliment Bloodshot Bill’s wild eccentricities and raw sound. Honey Time sounds like a showstopper of a track, while on True, the two leads trade off vocal duties and exchanges of love on a romantic crooner. The Honey Time EP is short and sweet and a wonderful document of when two greats joined forces to fight in the name of love.